Lynn Serafinn from Spirit Authors announces the launch of the new spiritual, psychological novel ‘Island of Souls’ by author Milan Ljubincic. TODAY on Amazon, an inspiring new novel is making its debut. It’s called Island of Souls: light within the dark by internationally renowned psychologist and speaker, Milan Ljubincic. I’m pleased to be the campaign manager for the launch of this refreshing and illuminating book. Written much in the tradition of other metaphysical authors like Paulo Coelho (The Alchemist) and James Redfield (The Celestine Prophecy), author Milan Ljubincic uses the powerful vehicle of fiction to weave a rich, allegorical story that illustrates how every one of us can find harmony and joy when we learn the language of our own hearts, and reawaken the wondrous spirit that already lies within us. Many of us have a library of self-help books on our shelves that ‘tell’ us how to transform our lives. But in Island of Souls, we simply step into the story of lead character, Lucas, and experience that transformation along with him. Set on a mysterious, uninhabited island, Island of Souls is a modern-day parable that blends real-life events with depth psychology, metaphors, archetypical figures and mythical symbolism to convey the underlying message of connection, aliveness and meaning. As much a guide as it is a story, Island of Souls is an invitation for you to reflect on your own life journey, its teachings, and the meaning it holds for you. Island of Souls: light within the dark is celebrating its big Amazon launch TODAY Tuesday May 13th, 2014. When you buy the book during the launch, you’ll receive DOZENS of beautiful bonus gifts from Milan’s friends and colleagues. The MP3 audio downloads from the ‘Soul Awakening Telesummit’ with over 4 hours of inspiration and information from Milan and 10 other world-class speakers including Dr. Eric Pearl, Chloe Taylor Brown, Gregg Levoy, Lynn Serafinn, Karen Erlichman, Emmanuel Dagher, Cari Murphy, Frederika Roberts, Wendy Kennedy, and Anna Sienicka. A FREE 1-hour online class with Milan, where he will share the fascinating ‘story-behind-the-story’ along with an in-depth discussion on the underlying insights and lessons within Island of Souls. I’m sure all those gifts will make you feel pretty illuminated even before you read the book! I do hope you’ll check it out on Tuesday May 13th, 2014. Connect with us on Twitter. Today, I have the great pleasure of being the host on Day 11 of Daniel Parmeggiani’s Virtual Blog Tour, whose new book new book, The Magnificent Truths of Our Existence, is currently celebrating its official launch. Daniel Parmeggiani is a modern-day spiritual teacher whose approach is unaligned with any particular religion or tradition. Driven by intense psychological turmoil when he was younger, Daniel discovered within himself a deeper reality that he says not only saved his life, but also showed him the way to permanent happiness and inner peace. Those revelations became the foundation of his book, The Magnificent Truths of Our Existence. Yesterday, Daniel visited Jennifer Lyall’s ‘Your Soul Connection’ blog at http://yoursoulconnection.ca/topics/articles/ where she asked about the one thing that everyone in the world wants, and the importance of community on our spiritual path. Today, I’d like to share with you a recent interview I had with Daniel when I got to ask him to share a bit about the process he used to write his book, and the advice he would give to other authors who may be thinking about writing a book on spirituality. LYNN: What were your original reasons for writing a book about your spiritual experiences? What was happening in your life that made you want to share them in this way? DANIEL: Ever since I had my first spiritual breakthrough at age 17, I’ve felt a deep sense of responsibility to share the simple, clear vision of our true innocent nature that I was blessed with. The recognition of my own absolute innocence rescued me from a seemingly hopeless state of obsessive-compulsive behaviour and self-loathing, and brought me self-forgiveness and peace within myself. I’ve always known that my perspective is unique in its clear logic and rationality, and I have no doubt that this book will greatly benefit all those who read it with a positive, receptive attitude. LYNN: Why do you think it took you 8 years to finish your book The Magnificent Truths of Our Existence? DANIEL: I quickly found out that writing an ordinary book is easy, but writing an extraordinary book is very hard. When I set out to write this book in 2006, I was determined to create something extraordinary, something different and practical that would really help people. I was willing to take all the time that was necessary for this to happen, and that turned out to be 8 years! LYNN: How did you finally manage to get focused to get the book done? What kinds of things did you have to do or change to move the process forward? DANIEL: After my breakthrough at age 17 that started it all, it took me almost 20 years to finally feel ready to begin putting my ideas down on paper. I knew I needed to help myself first before I could effectively help others. I also wanted to be sure that I fully represented my own spiritual teachings in my personal life. Then when the writing process began, I only wrote when I felt inspired to do so. I didn’t want to force any of it, because I wanted everything to be as genuine as possible. This meant that sometimes there were long periods of inactivity. But the importance of my mission always kept bringing me back to the desk. LYNN: What advice you can give other authors who are thinking about writing a book on spirituality? What things should they watch out for? What tips can you give them? DANIEL: I once heard Dr Wayne Dyer say, “Don’t die with your song still in you.” I think those words were the ones that finally got me started on this journey. Writing your first book can be very frustrating at times. It is a marathon that takes great endurance and perseverance. It is a trial and error, learning experience that requires lots of patience and the willingness to grow and change. There will be dry periods when the task will seem unsurmountable. But through it all, just keep plugging away. Try to do a little bit each day. And when you feel like you just want to say, “The hell with it!” and quit, remember the words of Dr Dyer. The payoff is great in the end, and worth every sacrifice. I hope you enjoyed this brief interview with Daniel Parmeggiani, author of The Magnificent Truths of Our Existence. AND…when you buy the book now during the official launch, you’ll receive dozens of beautiful free gifts from Daniel and his friends and colleagues. It’s their way of saying ‘thank you’ for supporting Daniel in this important spiritual work. Be sure to follow Daniel tomorrow on the next stop of his Virtual Blog Tour, when he’ll be visiting Ana M. Bruckner and Antonia Daniek’s ‘Inspired Planet’ Blog at http://blog.inspiredplanet.co/where they ask about the 5 existential needs of life, and the logic against guilt. Lynn Serafinn from Spirit Authors talks about Milan Ljubincic, author of the spiritual novel ‘Island of Souls’, and about the FREE 3-Day ‘Soul Awakening Telesummit’. The secrets to achieving happiness and inner peace are highly sought after. But this desirable state can sometimes seem impossible to achieve in a world that turns faster with each passing day. In this digital information era, we often find ourselves getting confused about what we should listen to, and the right path to take. In such a world, things can sometimes seem very black and white: they are this or that, one way or another. The secret, however, lies not only in the beauty of the light, but also the depths of our shadow. My client, psychologist and author Milan Ljubincic, understands that it is within the shades of grey that the richness of life unfolds. While many people put the study of psychology and the mind in one box, and the world of soul and spiritual experience in another, Milan sees them as working together, as one integrated whole. His work in the field of spiritual psychology can be seen as a return to the ancient origins of the ‘psyche’ where psychology interfaces with spirituality, to reawaken the spirit within each one of us. He has come to understand that true happiness and inner peace is attained when our mind and our spirit cease tugging in opposite directions, and when the two begin to dance harmoniously together. For that to happen, we must listen to the voice of our heart, and recognize that our emotions carry our teachings. When we tap into this new way of hearing, we begin to heal and rediscover the joy in all those wonderful shades of grey – as we embrace the light as well as the shadow within. The desire to share this simple but profound truth is what led Milan to write his illuminating new novel Island of Souls: light within the dark, which is launching on Amazon on Tuesday May 13th. Much in the tradition of metaphysical authors like Paulo Coelho and James Redfield, Milan uses the powerful vehicle of fiction to weave a rich, metaphoric story that illustrates how every one of us can find joy when we embrace our whole-self – light, dark and all shades in between. which will feature 11 international guest speakers..
WENDY KENNEDY – Channeler, public speaker, media personality. ANNA SIENICKA – Homeopathic medicine and kinesiology expert; certified personal trainer with mind-body connection. DR. ERIC PEARL – The Reconnection® founder; top media speaker, author international bestseller The Reconnection: Heal Others, Heal Yourself. GREGG LEVOY – Human Potential expert, keynote speaker, author of Callings: Finding and Following an Authentic Life, featured in upcoming film, Openings. FREDERIKA ROBERTS – “The Happiness Speaker”, presenter, coach, author of Recipe for Happiness: 9 essential ingredients for a happy life. CARI MURPHY – Soul success coach, speaker, bestselling author of Treasures of Heaven, Create Change Now and others, host of “The Cari Murphy Show: Straight Talk for the Soul”. CHLOE TAYLOR BROWN – Transformation & Lifestyle enhancement expert, author, speaker, radio host, entrepreneur. If you cannot attend the live broadcasts, register anyway, so you can access the audio replay. I’m delighted to be participating in the SOUL AWAKENING Telesummit on May 6th, 7th and 8th. I do hope you’ll join us. I know you’ll find it to be an uplifting, informative and enlivening experience. How Many Followers Do You Need Before Doing a Book Launch? Spirit Authors is well-known for its ‘bestseller’ book launches. So why is book marketer Lynn Serafinn advising an alternative plan for marketing your book? My reply to her was that there was no simple answer to this, as there were so many variables. As I was explaining these variables in some detail in my email, it occurred to me that my readers here on Spirit Authors would probably also like to know the answer to this question. So today, I’ll be looking at the factors that I believe contribute to a successful book launch, as well as an alternative to the big ‘bestseller launch’, which I believe is a viable, economical and more sustainable book marketing option for many new authors. My first exposure to ‘bestseller book launches’ (also called ‘Amazon launches’) was in 2008 when I attended a seminar in London with Janet Switzer, one of the marketing brains behind the book Chicken Soup for the Soul. That was the first time I had ever heard of ‘joint venture partners’ and the idea of collaborative Internet marketing campaigns. It was clear that the key to success was in the strength of your network. One person even naively asked Janet if she would share her partner mailing list with us (!). Of course, she gracefully declined, explaining that this was not only a breach of confidentiality, but that she had spent years cultivating and nurturing the relationships with these partners. The people on that list would have no relationship with the new person. Thus, without relationships, the list would be of no value whatsoever – even though, for Janet, it was THE most valuable asset she had. I had attended the seminar because I was just about to self-publish my book The Garden of the Soul, and wanted to get ideas for how to give it a good ‘birth’. While the seminar opened my eyes, it also raised more questions than it answered, and I embarked on a quest to research everything I could find on the subject. I incorporated ideas I liked, and discarded those I didn’t. But the one thing I could see would be the biggest determining factor in my success would be my network. I started a radio show. I created free Garden of the Soul audio meditations. I made Garden of the Soul video poems for YouTube. I started blogging on a special site just for the book. But the most effective thing I did was set up a Garden of the Soul network on Ning. Sadly, no longer a very popular social media platform, many of my closest network partners today originally came from my Ning network. It was a lovely ‘micro-universe’ where I made close connections with a few hundred people who were 100% committed to helping me when my book came out a few months later. As a result, I was able to get the book to #18 in the spirituality category on Amazon, which wasn’t bad for a one-person act who had never done a book launch before. I was able to return the favour by having many of these people as guests on my radio show. Dozens of them continue to be my book launch partners today, and a few even became book marketing clients. Since then, I’ve coordinated dozens of book launches for clients. I have a superb team who know exactly what to do and when. It’s become ‘systematised’ to such a degree that I can pretty much guarantee a client will hit #1 (or at least #2) in one or more category on Amazon. With each launch, my network of partners grows, and our relationships become stronger. Now my own circle of partners (along with my team) has become my most valuable business asset. Well, when I was just starting out doing these launches as a business, I also made that assumption, thinking my clients could ‘ride on my coat-tails’ so to speak. But let me tell you from experience, this assumption is completely WRONG. CLIENT B: Those clients who had strong partner networks of their own (which were then combined with my network) would rise to the top of the charts more quickly, and stay there longer, resulting in more book sales overall. However, as books are cheap, it was only on rare occasions that their profits from these sales would cover the expenses they had laid out to do the launch. Thus, they’d write it off as a business expense, and just return to ‘business as usual’ after the launch, meaning the launch made no significant change to their business. CLIENT C: Those clients who had strong partner networks AND who had ‘spin off’ products and follow-up offers for their customers not only made better book sales, but they also made residual income after the launch. This was the only group who actually profited financially from doing a book launch. As I saw these patterns emerging, I decided I would no longer offer book launches as an option to clients in the ‘A’ category. I felt it was unethical to ask them to commit so much time and money for something that would give them ’15 minutes of fame’ and then a big crash and burn (if not a credit card debt) at the end of the tunnel. Instead, I worked with them to build their marketing platforms and their networks – sometimes for as long as a year. Some would go on to do a book launch, but many didn’t feel the need, seeing the platform building as a steady and sustainable alternative to business growth and book sales. Clients in Category C, obviously, had the greatest potential to benefit from doing a book launch, and I am happy to do a launch project with them. Clients in Category B are ‘borderline’. What I tend to do with these clients is work with them for a while to create their follow-up offers so they can ‘ascend’ to Category C before their launch. What you might notice is that, so far, I haven’t even MENTIONED social media followers. When I referred earlier to ‘strong partner networks’, I was NOT talking about big mailing lists or large numbers of followers on Twitter or Facebook. That’s not to say that large social networks are not important. The fact is that your partners will appear from these networks. Of course, it’s up to you to recognise potential partners and cultivate your relationship with them (I talk a lot about this in my Twitter book Tweep-e-licious). Numbers have to be looked at in context. For one thing, the number of ‘followers’ that is considered substantial will vary from one social media network to another. While 2,000 Facebook friends is a lot, it’s not particularly exceptional on Twitter. Also, low numbers in one network can be offset by exceptionally high numbers elsewhere. For example, one of my clients has a minimal presence on Twitter, but has over 60,000 fans on his Facebook fan page. I hope you can see that making the decision to embark on a book launch cannot be reduced to a numeric equation. The decision comes from looking at a combination of factors, including your marketing platform, your partner network and your business/brand development. Think of a finely crafted watch. The only way it works is: 1) for all the parts to be of good quality; 2) for them to be assembled and working together as a unit correctly and; 3) for them to be maintained regularly. Frankly, I think the ‘golden era of book launches’ is dying out. I believe building a solid platform and making a plan for how your book marketing will support your business growth is far more important that the ephemeral ‘rush’ you’ll get from being #1 for a day. It’s like winning the X-Factor and then not being able to make a career out of singing. This is why we at Spirit Authors (now a branch of the 7 Graces Project CIC) have been focusing more and more deeply on developing a range of platform-building packages for our clients. We feel, for the majority of clients, these options give greater long-term value and are more sustainable than a book launch. If you’re writing a value-rich book, you run an independent ethical business, or you’re planning to launch a new product in 2014, have a look at our platform-building packages and then drop us a line via the contact form on this site to set up a free 30 minute consultation to discuss your needs. Delivered Directly to Your Kindle! Now you can have access to the latest tips in writing, publishing and book marketing everywhere you go. Get our Spirit Authors articles delivered once a week directly to your Kindle for only 99 cents a month (77pUK). Instead of reading someone else’s book on your way to work, get information on how to make your OWN book a success. Author Pat Honiotes’ (pictured left) has written an empowering book called The Practical Guide to Figuring Yourself Out. Today we share an audio interview of how Spirit Authors helped her behind the scenes to get her book published. Recently, my good friend Shelagh Jones of Spiritus Spiritual Marketing Directory contacted me saying she was working with a client to self-publish and launch her self-help book, and she needed some help from me to fill in the gaps. The client was a delightful woman named Patricia J. Honiotes, M.S. and her book is entitled The Practical Guide to Figuring Yourself Out – How to Go From Stuck to Star of Your Life. PAT HONIOTES, M.S. is an internationally renowned personal empowerment coach, therapist, educator, and Reiki Master Teacher and healer. Formerly a special education teacher, Pat has a Masters Degrees in Counseling Psychology and is also a Board Certified Medical Hypnoanalyst. Since 1982, she has helped thousands of clients take ownership of their lives through private sessions, seminars, workshops and classes. Her down-to-earth honesty and non-judgmental outlook create a relaxed, safe environment for all who work with her. A firm believer in “walking the talk”, Pat’s book The Practical Guide to Figuring Yourself Out is the culmination of her personal life journey combined with over three decades of work devoted to helping clients reclaim their self-worth and experience the joy and richness of life itself. As you can see from her bio, Pat is tremendously experienced in the personal development field, but what she had never really done before was think like a marketer. The subsidiary press she was using to publish her book asked her for a ‘book blurb’ and some copy for the back cover of her book. While Pat was an expert in her subject matter, she really didn’t have a clue where to begin with these challenges. She asked Shelagh for help, who in turn contacted me (thank-you, Shelagh!). So, I wrote both the book blurb and the back cover copy. I also wrote Pat’s bio (which you see above) AND made a 1-page media kit for her. Pat’s book, The Practical Guide to Figuring Yourself Out, comes out this week on Friday November 8th, 2013. Shelagh has organized a Virtual Blog Tour (VBT) for Pat to help promote the launch, and because I was involved in the publishing process, she asked me if I would be a ‘stop’ on the tour. Today I am delighted to be the host on the 3rd day of Pat’s VBT. Yesterday, Pat H. visited Pat Thompson’s ‘Cultivating Balance’ blog at http://work-life-balance.blogspot.co.uk, where they explored a fascinating perspective on ‘figuring ourselves out’. Because the purpose of Spirit Authors is to offer self-publishing and marketing advice to authors, Shelagh came up with a brilliant idea that, instead of me interviewing Pat about her book, Shelagh would do an audio interview with me about the process of creating the book blurb and back cover copy. That way, we could take you ‘behind the scenes’ of the book launch, while we also told you about Pat’s book. If you cannot see the audio player on your screen, click here to open or download the MP3. What is a book blurb and who is it for? Why is a book blurb so important? Why do authors think they can do it themselves? What happens when we think TOO outside the box when writing our blurb? Why is it important for someone other than the author to write the blurb? Where do you need to start when writing a book blurb? What do readers need to see in your blurb before they buy your book? How does your book blurb differ from a sales letter? What is the single most important thing you need to ‘zero in’ on before writing your blurb? What are the 4 steps that go into a book blurb? How do you make your back cover copy from your blurb? How do you submit your book blurb so it gets distributed to Amazon, etc.? What are the technical considerations for your book blurb and back cover copy? What is the difference between a POD (print-on-demand) company and a subsidiary press (self-publishing) company? What are the different levels of help these companies will give you? Why is it worth budgeting the money to get your blurb and back cover copy written for you? So that you see what we’ve been talking about, here’s the ‘back cover blurb’ I made for Pat’s book (you can see the complete wholesaler blurb when you check out the book on Amazon). This should also give you a feel for how all the elements we discussed in the interview come together when you write your back cover copy. I’ve put it in blue to make it easier to see where it begins and ends. You’ve played life by the “rules”. You’re a responsible person. You’re educated. You work hard. You have friends and family. But something isn’t quite right. Life is good, but not great. Things are stable, but not exciting. You like your job, but you don’t feel stretched or challenged. You’re making money, but you don’t feel abundant. You’re reasonably healthy, but not truly vibrant. Your relationships are OK, but deep inside, you crave more connection and intimacy with those you love. The Practical Guide to Figuring Yourself Out is a book for people who feel like they’ve been ‘doing’ life instead of living it. In this book, author Pat Honiotes MS has amalgamated over three decades of professional experience in medical hypnoanalysis and personal empowerment coaching to bring you a one-of-a-kind, step-by-step handbook of techniques and practices that can help you figure out where, why and how you’re stuck in life, and create a unique, personalized action plan for change. I hope you found this interview useful, and that you also check out Pat’s book. You can get the book at http://www.figuringyourselfout.com. P.S. : If you’d like to read more about writing blurbs for your book, you might find my article ‘How to Write Good Blurbs and Back Pages for Your Book‘ to be helpful. P.P.S. : If you’d like to discuss hiring us to make a blurb, back cover copy, bio and/or media kit for YOUR book, drop us a line via the contact form on this site. Pictured left: author and stroke survivor Erica Tucci. 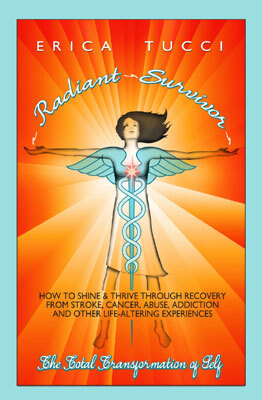 Erica’s beautiful book Radiant Survivor is coming to Amazon on November 19th. To celebrate this launch, Erica and I are co-hosting an uplifting 3-day telesummit featuring world-renowned author and medical doctor Bernie Siegel MD. Find out how to attend (fr*ee) below. One of the things I love most about my job is that I get to work with wonderful people. As I only work with authors in the self-help, mind-body-spirit and social reform genres, they tend to share some very special qualities. They have a devotion to personal and social transformation. They want to help people. They want to create a better world. Another thing many (if not all) of them have in common is that they have experienced some sort of major transformation in their own lives – often a traumatic one that turned their lives upside down – which gave them insight and wisdom that would not have been accessible to them otherwise. That’s what happened to Fortune 500 business manager Erica Tucci in 2011 when she collapsed to the floor on her way to work one day. Erica had a profound stroke that totally paralysed the right side of her body. But something remarkable happened to Erica as she went through her 2-year process of rehabilitation and recovery. She discovered the trauma she had experienced was actually the BEST thing that had ever happened to her, and the wisdom and life-lessons she was learning were completely transforming her life for the better. That revelation prompted Erica to write her powerful book, Radiant Survivor: How to Shine and Thrive through Recovery from Stroke, Cancer, Abuse, Addiction and Other Life-Altering Experiences. The book includes Erica’s story and the stories of 14 other survivors and caregivers, along with exercises for healing and a wealth of wisdom and life-lessons. Radiant Survivor: How to Shine and Thrive through Recovery from Stroke, Cancer, Abuse, Addiction and Other Life-Altering Experiences is a book about healing. It is a wellspring of hope, inspiration and encouragement to anyone facing trauma in their life. But most of all, Radiant Survivor will help you understand how your experience is part of your sacred contract with the Divine, and how trauma can help you find out what is really important in life. Allison Maslan – Entrepreneur; near-death trauma survivor; author of Blast-Off! I do hope you’ll join us for what promises to be a truly rich, uplifting and revitalising event. As I said earlier, it’s completely free to attend. If you can’t make the live broadcast, register anyway because you’ll be able to listen to the replay anytime until the launch on November 19th. PLUS when you buy Radiant Survivor on the day of the launch, you’ll receive the MP3 downloads from the event, plus dozens of other bonus gifts, as a special ‘thank-you’ from Erica and her friends. Campaign manager Lynn Serafinn shares a simple formula to give power to your words (this is an updated version of an aritlce orginally published on April 5, 2010). If you are planning an Amazon campaign for your book launch, you will need the help of a great network of personal and professional friends to help you. But something you might not have thought about is the fact that you will need to provide some “ezine copy” for them to use to help promote your book. That’s right: YOU will have to provide the article or articles your “joint venture partners” (JVPs) will send out to their lists. The reason for this is two-fold. First of all, your JVPs are probably pretty busy, and if you ask them to write an article for you, it is less likely they will have it ready in time to meet your timetable. Secondly, YOU are the person who knows best what you want to say about your book. Those are the two most important reasons why you should write the “copy” (article) for your JVPs’ newsletters when they offer to promote you. And you’ll need to write several over the course of the campaign, in order to speak to the different audiences your partners represent. I know this might sound a little daunting to some of you, especially those of you who don’t like the idea of “selling” (which covers just about 99.9% of the mind-body-spirit authors I know), so I thought I would give you a little formula to get you started, so you could see it is not so much about selling at all, as it is about connecting and inspiring the reader. It is between 400-700 words. It is written casually in the 3rd person as if the JVP is writing about you. It arouses curiosity in the title and opening line. It inspires the reader by sharing something meaningful about you and your book. It has a specific place where the JVP can (and should) personalise it. It has a short, clear call to action at the end (i.e., it tells people when, where and why to get your book). Remember that the primary purpose of your copy is to arouse curiosity, and not to “sell” your book (yes, I thought you’d be happy to know that!). Make sure you have places in the article where partners can personalise it to make it more their own. And if “keeping it real” means that you need to send a copy of your book to your partners (at least a pdf version of it), BE GENEROUS and do so. It will help them say (nice) things about you in a much more authentic way. Don’t make your ezine copy just about the book. Make it also about YOU. Audiences like to know the person behind the book. Talk about how the book came to be. Bring the reader on a personal journey. Let them into your world. If you only talk about the book, a vital human connection will be missing. Your ‘call to action’ should be consistent with the character of the article. In other words, do NOT make it schmoozy and salesy. Make your call to action short and INVITING rather than hitting people over the head with ‘you’ve gotta get this book because it will change your life’ kind of attitude. Let it emerge naturally from the body of the article instead of jumping out like an attack! Are YOU Planning a Book Launch? If you are seeking a manager for your mind-body-spirit campaign, give me a shout via the CONTACT FORM on this site and we can set up a FREE 30 minutes Skype chat to see if I can help in any way. Please note I only accept a limited amount of clients per year and require a 6-month lead in time for a full-service launch. Please DO leave your comments below. I LOVE hearing from you! AND DON’T FORGET to subscribe to the Spirit Authors blog for more tips on writing, publishing, book promotion and new mind-body-spirit book releases. Lynn Serafinn, MAED, CPCC is a certified, award-winning coach, teacher, marketer, social media expert, radio host, speaker and author of the number one bestseller The 7 Graces of Marketing: How to Heal Humanity and the Planet by Changing the Way We Sell. Her eclectic approach to marketing incorporates her vast professional experience in the music industry and the educational sector along with more than two decades of study and practice of the spirituality of India. In her work as a promotional manager she has produced a long list of bestselling mind-body-spirit authors. She is the of Spirit Authors, a site dedicated to providing information on publishing and book promotioin for and about mind-body-spirit authors, both established and aspiring. Lynn is also the Founder of the 7 Graces Project, a budding social enterprise whose aim is to help grow a new generation of passionate entrepreneurs who want to serve both people and planet through innovative, ethical, independent enterprise. Back when I started Spirit Authors 2 years ago, it was my intentions to create a site that could help mind-body-spirit/self-help authors– both aspiring and extablished–to learn how to establish themselves online, so they could learn how to spread the word about all the great work they do. It was my experience that a great many artist, holistic and spiritually-minded people didn’t like to do marketing; and as a result, they stuggled to survive financially. I found it sad to see so many people give up on their dreams, so I wanted to make sure Spirit Authors provided them with lots of (free) resources that could help them. At the exact same time I was launching Spirit Authors, I began writing a new book of my own, which originally was intended to be a book for all those sensitive souls who didn’t like marketing, but needed to do it. I thought if I could help create a new paradigm for these kinds of people, it might be useful. But after I started diving deeply into the subject of marketing, I discovered so many revealing (and sometimes shocking) things about its history, intention and practice, and so many serious issues arising from consumer culture, that I knew this book was going to be something altogether different from what I had originally intended. And now, after 2 years of daily writing, researching and pulling it all together, TODAY–Tuesday December 13th, 2011–is the big Amazon launch for my new book The 7 Graces of Marketing: how to heal humanity and the planet by changing the way we sell. (Click the title to find buy the book and receive some great gifts). When you buy the book TODAY you can receive the complete set of 7 MP3s (over 10 hours of audio) from last week’s 7 Graces of Marketing Telesummit, with 24 internationally renowned speakers, such as Joe Vitale, Eric Pearl and 22 others, speaking about the ‘7 Deadly Sins’ of marketing and the ‘7 Graces’ of marketing. You’ll also receive dozens of other gifts offered by my friends and colleagues, to express our appreciation for your support. Sometime TODAY, go to http://the7gracesofmarketing.com/book-launch/pages/launch.html. This is the “launch” page. After you have purchased the book, Amazon will give you a purchase code. The purchase code is a 17-digit number, and it looks like this: 123-1234567-1234567. Copy this number to your computer clipboard. Return to the “launch page” and enter your name, email AND your Amazon purchase code in the form. When you hit the button that says “Yes, Please!” you will be taken immediately to the “bonus” page. This page has all the links to take you to the bonus gifts. Just click the links of the gifts you would like to download. I am extremely passionate about this subject (as you will have heard if you listened to last week’s telesummit), and I am dedicated to getting the dialogue started in the business sector so we can change the way we do marketing, and make a brighter, healthier, happier world for our children and children’s children. I do hope you’ll check out The 7 Graces of Marketing. Please PAY NO ATTENTION if Amazon says, “Only 3 left in stock” or “Ships in 1-4 weeks”. We have test ordered the book, and it takes about a 7-10 days to ship, and it is IMPOSSIBLE to “be out of stock” because this is a “print on demand” book, which means the book will be printed and shipped to you whenever you place an order. If you have any questions or experience any problems, please do not hesitate to contact me via the contact from on this site. AND, I’d love to hear what you have to say about the book after you have read it, so be sure to subscribe to this blog so you can find your way back here. I’m also starting a 7 Graces of Marketing Community for everyone who has bought the book, and who would like to meet others of like mind who want to bring ethics and values back into our business and marketing. So please do stay in touch. Get seen & build your network by partnering on book promotions from Spirit Authors. Reach your target audience and gain valuble insight into how others market their books. Mind-body-spirit, self-help, health & wellness, ethical business & marketing. As most of you know, I create and manage book launch campaigns for mind-body-spirit authors. Over the past 18 months or so, I’ve coordinated more than a dozen campaigns. All of my clients reached bestseller status. In fact, most were in the top 3, and five of these hit the coveted #1 bestseller spot. Creating a book launch is a LOT of work, and cannot possibly happen without the help of many dozens of network partners. Being a partner on someone else’s book launch has great rewards, even if you are not an author. Among other things, it helps you expand your professional network, gives you more visibility, and can also help to grow your mailing list. A well-crafted book launch has the potential to reach millions of people by dint of our collaborative efforts. If you’ve never participated in a book launch before, read my article “7 Reasons to Partner on Someone Else’s Book Launch NOW”. WHO SHOULD JOIN THIS CAMPAIGN? Anyone whose work has to do with Baby Boomers, family relationships, end-of-life issues, death and dying, grieving and loss, life transitions, health care, advocacy groups, elderly care, human rights, financial or legal planning, etc. Express your interest by filling in the form at http://babyboomersguide.org/pages/book-launch/join-the-book-launch-for-why-wait.html no later than Friday September 16th, 2011. The 7 Graces of Marketing: how to heal humanity and the planet by changing the way we sell. Alpha Chick: 5 Steps for Moving from Pain to Power by Mal Duane (February 7th, 2012). I will be sending you more information about these, including how you can join us for these uplifting campaigns, in the very near future. I look forward to working with many of you on these great launches! And, as always, don’t forget to subscribe to the Spirit Authors blog for regular tips for authors, both established and aspiring. Lynn Serafinn is a transformation coach, book promotion coach, radio host and bestselling author of the book The Garden of the Soul: lessons from four flowers that unearth the Self, as well as the upcoming book The 7 Graces of Marketing: how to heal humanity and the planet by changing the way we sell. She also works as a campaign manager for mind-body-spirit authors and has produced several #1-selling book campaigns. She is the founder/creator of Spirit Authors, a virtual learning environment and community that offers training, coaching, business-building and inspiration for mind-body-spirit authors, whether established or aspiring. As part of her work with spiritual and self-help authors, she also regularly hosts large-scale online virtual events (usually free of charge) with world-class speakers on a range of mind-body-spirit topics. Subscribe to her Spirit Authors blog at http://spiritauthors.com/category/news/ so you can receive more useful tips and news about upcoming online events. While you are there, do check out the excellent and affordable online courses for authors available.If you are an author seeking 1-to-1 support or campaign managment for your upcoming book launch, you are also invited to request a free consultation by filling in a contact form at http://spiritauthors.com/contact. Please note that full service campaigns require a 6 to 8 month lead-in time, so be sure to contact Lynn well in advance of publishing your book. Subscribe to my 2x monthly ezine and receive 2 free audios on personal transformation. As a book promotion expert and book campaign manager, I receive a LOT of requests for consultations from authors who are preparing to publish their books. Some are experienced authors who have published in the past, either self-published or through a royalty publisher. Others are first-time (and usually self-published) authors. During our initial consultation, I tend to hear many of the same questions again and again. As these questions are so key to authors before they decide whether or not to do a full-blown “bestseller launch” for their book, I thought it might be a good idea to pull together my “Top 10 Most Frequently Asked Questions” I am asked by authors on almost a daily basis. Q1: How many books will I sell during my online book launch? First of all, let’s define “the launch” as a 24-48 hour period of time in which we will be driving traffic to buy your book. Asking how many books you will sell during that time is really like asking “How long is a piece of string?” It depends upon so many factors that we can only, at best, give a very broad figure. I have had clients who sell as few as 50 books during a launch and others who have sold around 1000. The average self-published author tends to sell between 300 and 500 books during a launch. Those with major publishers might sell twice that amount, not necessarily because the publisher helps with your promotion, but more because people recognise the “brand identity” of the publisher and are more willing to take a chance on the title. And of course, if you are not a first-time author you will probably sell more books if people know your name already. The key to selling more books is to devote a fair amount of time well before your launch to cultivate and grow your audience. That’s why I spend the first two months of work with my clients developing strategies and systems to build their platform and mailing list before anything else. Q2: How do I become an Amazon bestseller? If your book sales are amongst the Top 100 in any category on Amazon, you are technically a “bestseller.” You don’t have to be in the Top 100 of all books. There are dozens of categories and sub-categories on Amazon, and if you achieve a sales ranking in the Top 100 in any of these, you can say you are a bestseller. Of course, it is always nice to hit the “Top 20” or the “Top 5” or (best of all) the #1 sales rank in one or more categories. Q3: How many books do I need to sell to be an Amazon bestseller? Again, this is not a question I can answer definitively because being an “Amazon bestseller” is a relative title, and it depends upon: 1) how well other books in your categories are selling on your launch day and 2) how competitive your categories are. Some categories like “Religion and Spirituality” or “Business and Investing” are extremely competitive with thousands of titles up against many famous authors for the top position on the list. Other categories, such as “channelling” or “alternative medicine” are less competitive. Q4: How can I choose the category I will be in on Amazon? If you were to ask this question of some of the top publishers (I have), the common answer you will receive is this: “You can’t.”However, I have found this not to be 100% true. Let me explain. First of all, when you submit a book for publication through Lightning Source (for example), you choose 2 “BIC” (Book Industry Communication) categories, which are standard categories that are used by all publishers and distributors. Now the problem lies in how retailers interpret these categories. Think of the last time you went to look for a book in the shops. Sometimes it might be in the “self help” category, while other times it might be in the “spirituality” section, etc. Amazon “interprets” your BIC categories according to their “virtual” bookshelf. To make things even MORE confusing, Amazon UK, Canada and US might not interpret your book at all in the same way. Even major publishers have told me they have no real control over this. Some authors find their books placed in very strange categories. BUT here’s the big secret I have found: I your book is not ranking in the right category, you CAN get Amazon to change it via Author Central in the US and the UK. Just write to them and ask them to recategorise your book. My book The 7 Graces of Marketing was placed in the “accounting” category at first (NOT!!). When I wrote to Author Central, they very quickly and painlessly put the book into the cateogries I requested: business ethics and marketing/sales. If you are unsure of what categories to choose, your best bet to get your book in the RIGHT category is to do some market research to find out which categories other titles appear that you feel are the closest in content or message to your own book. Don’t go for a “top level” category like “Business and Finance” or “Health and Wellness””. Go for a sub, or even sub-sub category. Get it as precise as possible. That will not only help you increase your likelihood of reaching the top of the ranks (as it will be less competitvie) bit it will also increase the likelihood of people who are looking for your book will find it, because Amazon’s system will group it together with similar books. Then, make triple sure you get placed correctly, do two more things: 1) make sure your title, subtitle, back cover copy and description use keywords that help point the folks at Amazon in the right direction AND 2) start putting some TAGS on your book page that help people find your book. PLEASE NOTE: All of the above is mainly with respect to PRINT books. For Kindle, you can actually SPECIFY two categories via Kindle Direct. These bypass the BIC settings altogether, as Kindle is an Amazon proprietory format. Q5: Why don’t I see my book listed in a category on my Amazon listing? You won’t see your book listed in a category unless it is in the Top 100 of that category. Until that time, all you will see is its overall sales rank, which changes every hour. Amazon US and Canada tend change just past the top of the hour, while Amazon UK tends to change at 40 minutes past the hour. Q6: How can I find out in which categories Amazon will place my book? It’s not always 100% reliable, but the best way to “guess” which categories you will appear is to scroll all the way down to the bottom of the screen until you see the words, “Look for Similar Items by Category.” There you will see several suggested categories that are likely to be where your book will be placed when ranked. If these categories look range or irrelevant, refer to Q4 above. Q7: How can I track my rankings? So far, Amazon does not have any legacy tracking system for rankings, which means you basically have to watch the rankings yourself like a hawk during the launch, as they change every hour. Typically, my clients and I stay up for the full 24 hour period in shifts, in constant communication on Skype, to watch the rankings. The only way I have found so far to “log” your success is to take screen shots. I use the program “Jing Pro” for this. There is a free version, but the Pro version is very reasonable, and has many worthwhile features. You can download it at http://www.techsmith.com/jing/. DO take screenshots of EVERY stage of your rankings. They make great images to add to your promotions when you are sharing the success of your book with readers, media and event managers. To track your rankings for OVERALL book sales, see Q8 below. Q8: How can I track my actual sales? Tracking sales is another matter altogether. Of course, the most reliable method is when you receive your royalty report and payment from your publisher or printer. However, these can some to you months after your launch. There are two ways I have discovered that can give you ball-park figure of your sales during a launch. Once is to use your Amazon Associates link on your purchase page, in which case you will see the sales appear within a few days in your Associates account. Another is to use an online tracker such as Novel Rank at http://novelrank.com, which can show sales on a daily and monthly basis. They also show, in numbers and in graph format, your overall sales rankings (not category rankings) over a given period. Bear in mind, to get the best from this service, you need to start tracking your book on their site several weeks in advance of your launch. Another option is to sign up for Amazon Advantage, although as far as I can tell, you can only sign up for this if you will be directly supplying Amazon with inventory. If a company such as Lightning Source will be printing your books on demand or you will be using a subsidiary publisher, you will need to speak to them about whether or not you can use Amazon Advantage, as they will be fulfilling the sales and sending you the payments and sales reports (of course they will also have some sort of reporting system for your sales as well, which will tell you your overall sales, not just to Amazon). Kindle sales are updated once a week in Kindle Direct. Q9: How much money will I make on book sales during my launch? Whether or not you use your Associates account for sales. Let’s say you have a 250 page book that sells for $15 and you sell 500 books on your launch day. That is a gross intake of $7500. Amazon pays you according to whatever wholesale “discount” you have agreed to sell your books to them. Let’s say you have agreed to sell your book to them for a 55% discount off the retail price (a fairly common figure, although this can vary). That means they will pay your publisher 45% of gross, which is $3375. If you are the publisher, you will receive that money from Amazon. From that amount, you need to deduct your printing costs. The cost of printing a 250 page book through a company like Lightning Source is around $4.15 ($0.90 per unit and then $0.013 per page), which means 500 books would cost $2075. Deduct that from what Amazon will pay you, and that leaves a net profit of around $1300. If you are going 100% self-published, you will make the whole $1300. But if you are receiving a percentage of net from your publisher, you would take the percentage from this amount. Many subsidiary presses take 50% of net, which means you would make $650on 500 books. If you are working with a royalty publisher who pays you a given percentage of retail or net, you will have to calculate it accordingly. If you use your Amazon Associates link during your launch, you can earn between 4% and 7% of your retail sales as a commission. In other words, if Amazon were to sell 500 books at $15 (although they will tend to sell it at a lower price), you would make an extra $0.60 – $1.05 per unit. You ALSO make a commission if your buyers happen to buy other products at the same time. It all adds up, so it’s worth making sure your links are in place during a launch. Please note that these figures are accurate as of this edit (July 26th, 2011). UPDATE DEC 2011: I’ll be writng another article in the New Year about chosing the right royalty structure for your publication and different ways to use eBooks/Kindle to drive traffic to your print book. Be sure to subscribe to this blog to stay on top of new info articles. Q10: What’s the real benefit of doing an Amazon bestseller launch? I’ll be honest with you: it costs a heck of a lot more to run a bestseller launch than you will receive in immediate monetary returns. I think you have probably already deduced that doing an Amazon bestseller launch is NOT going to make you lots of money selling books. So it does beg the question why people bother to do them at all, and why people like me are continually booked months in advance to do these launches. Deciding to do a bestseller campaign should not be an impulsive decision, nor should it be entered with rose-coloured glasses. My most successful clients are those who entered our work relationship with this level of understanding. They did not have unrealistic expectations, and they took the “kudos” of their bestseller status to build stronger and more viable businesses that could only have come about as a result of their Amazon bestseller campaign. I think most of these would tell you their decision to do a launch made a positive difference in their business. I hope this article is useful to any of you who are currently preparing to publish a book in the coming year. Please do leave comments below and feel free to contact me via the contact form at http://spiritauthors.com/contact if you have any questions about this content, or you wish to discuss an upcoming launch. Lynn Serafinn is a transformation coach, book promotion coach, radio host and bestselling author of the book The Garden of the Soul: lessons from four flowers that unearth the Self, as well as the upcoming book The 7 Graces of Marketing: how to heal humanity and the planet by changing the way we sell. She also works as a campaign manager for mind-body-spirit authors and has produced several #1-selling book campaigns. She is the founder/creator of Spirit Authors, a virtual learning environment and community that offers training, coaching, business-building and inspiration for mind-body-spirit authors, whether established or aspiring. As part of her work with spiritual and self-help authors, she also regularly hosts large-scale online virtual events (usually free of charge) with world-class speakers on a range of mind-body-spirit topics. Subscribe to her Spirit Authors blog at http://spiritauthors.com/category/news/ so you can receive more useful tips and news about upcoming online events. While you are there, do check out the excellent and affordable online courses for authors available. If you are an author seeking 1-to-1 support or campaign managment for your upcoming book launch, you are also invited to request a free consultation by filling in a contact form at http://spiritauthors.com/contact. Please note that full service campaigns require a 6 to 8 month lead-in time, so be sure to contact Lynn well in advance of publishing your book. What Makes a Good Bonus Gift for an Online Book Launch? When authors have a book launch, they very often gather together a group of network partners to support the launch by offering a bonus gift. Offering a bonus gift for someone else’s launch can be a great way to find new targeted subscribers for your mailing list (see more information about why you might wish to join a campaign at the end of this article). I manage many book launches every year, and every time I do it’s necessary for me to give some guidance to network partners about what makes a good, appropriate and effective bonus gift. If you are going to be offering a bonus gift for a book launch, it is essential you choose the right kind of bonus gift AND present it properly. Otherwise, you are likely to be very disappointed with the results of all your efforts. I thought I’d share this information with my blog readers because it is not only relevant to bonus gifts for book launches, but pretty much to any kind of special offer you might use for leads generation. These guidelines are based upon years of experience in what works and doesn’t work in YOUR best interest, and hopefully increase the probability of opt ins for you. What IS a good bonus gift? It should be something special that is NOT routinely and easily accessible via your website (especially your home page!). It must be in a format accessible to most (PDF, MP3, MP4 are all recommended formats). Suggested gifts include eBook, special report, audio course, eCourse, templates, video series, etc. What is NOT a good bonus gift? An offer of a discount for something they must buy. An offer of free coaching or consulting (see more below). An offer of a free place on a live course on a specific date. Something you would have to send to people via snail mail. Something which would cost YOU money to give (such as a printed book). Something in a non-universal format (e.g., an eBook in MS Word doc format would not be acceptable). 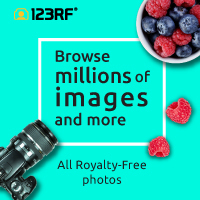 Something anyone could easily find by visting your website. What is an “opt in page” and why do I need it? Your opt in page is the place where people will come to REQUEST (not receive) your bonus gift. It should include a sign up form where they are required to enter their name and email (I suggest you do NOT ask for any other information). How do I get a sign up form? Any email delivery or autoresponder system such as AWeber, GetResponse, Constant Contact or Mail Chimp will allow you to create a sign up form. If you don’t have any of these services, I recommend you get one. Mail Chimp is free for the first few hundred subscribers. What should my “opt in page” look like? It should be VERY basic with no distractions, such as outbound links, adverts, etc. It should ONLY show your bonus gift and the opt in form. It should be on a special stand-alone page that is NOT on the home page of your website. What happens after people sign up? The opt in form will have a function where you can tell it where to send people after they sign up. They should be taken DIRECTLY to a download page. THEN, you should also set up an automated follow up message that says something like, “Thanks for downloading my bonus gift (Title of Gift). Just in case you didn’t get the chance to download it, here’s the link to the download page again: (link to the page). But I’m looking to get clients. Why can’t I offer free coaching (or whatever it is you do)? Frankly, because you never will be able to fulfill the requests you will receive.What if you receive 100 requests? Are you prepared to give away 100 precious hours of your time? You shouldn’t be. If people are asking for free coaching and have no intention of hiring you, you are simply wasting both their time and yours. Instead, give people a free downloadable gift (eBook, MP3, etc) that costs you no time to deliver, and then, if you want, put a message at the end of the eBook that you will offer a free consultation to the first 10 requests, or something along those lines. But I want people to visit my website so they can check out my products and services. Why can’t the opt in page have info about these? Please remember, on these launches people will be clicking to receive DOZENS of free gifts. They are not interested in checking out anyone’s site while they are doing this. It’s overwhelming enough for them (yes, it’s actually overwhelming for people to have so much choice). If you overwhelm them further with “information overload”, or it looks like you are trying to sell them something, they will CLICK AWAY from your page. Trust me, I have had many a JVP not follow my advice, and not receive but a handful of opt ins during a campaign. Personally, I typically get hundreds of opt ins on my bonus gifts BECAUSE I make simple, not distracting pages that do not attempt to “sell” people anything. Remember: once people are on your list, you can send follow up messages with information on how to take the content further. You can also put this information IN the product itself (in fact, you should). I hope you have found this information helpful! And do check out my upcoming book launches, and come join us if you like. Lynn Serafinn is a transformation coach, book promotion coach, radio host and bestselling author of the book The Garden of the Soul: lessons from four flowers that unearth the Self. Her upcoming book, The 7 Graces of Marketing, is coming in June 2011. She also works as a campaign manager for mind-body-spirit authors and has produced a long list of top-10 book campaigns, including many #1-sellers. She created Spirit Authors to offer training, coaching, business-building and inspiration for mind-body-spirit authors, whether established or aspiring. Contact Lynn about YOUR book project at at http://spiritauthors.com/contact. Be sure to subscribe to this blog for regular book writing and promotion tips (just fill in form at right of your screen). Sign up for Lynn’s bi-monthly newsletter Creative Spirit (fill in form below) packed with inspirational articles, self-promotion tips, broadcast guide to her radio show, and news about upcoming spiritual author book releases. Throughout the year, Lynn also hosts large-scale telesummits with world-class speakers on a range of mind-body-spirit topics. Your subscription to Creative Spirit will ensure you’ll be the first to know how to attend these free events. Book promotion coach and campaign manager Lynn Serafinn reflects on the Law of Attraction when her client, Luis Diaz’s book Memory in the Cells hits Number 1. I learn so much every day of my life. Let me set the context. Just a little over 24 hours ago, my fantastic client (and I really mean that), Luis Angel Diaz, launched his book Memory in the Cells: how to change behavioral patterns and release the pain body. The book, which was originally written in Spanish and has only now been translated into English, is about healing your emotions at the deepest level of your being. I first met Luis on the Ning networks, and have watched his work for the past few years. When he first approached me to be the campaign manager for his book, I knew that he already had cultivated a widespread, loyal audience in the Spanish-speaking world for decades, and that the release of this new translation of Memory in the Cells would be his first real introduction into the English-speaking audience at a global level. Over the course of the past 5 months or so, I have been working closely with Luis and his team to create a wonderful promotional campaign that would reflect his personality, his values, and the true essence of what he does. That is really the fundamental principle behind all the promotional campaigns I co-create with my authors. My campaigns aren’t really about the book so much as they are about the author (and, yes, we create them together—that is absolutely vital). In this way, the campaign becomes something unique that cannot be duplicated by anyone else. It is my experience that when the heart and soul of the author is fully present within the core of the campaign, the campaign has a special sparkle to it that “magically” makes it work—even if it is a first-time, self-published author. I call this approach “the path of least resistance to the Self” and it’s my fundamental principle to how I approach life. My core belief is that when we are truly and visibly authentic in the world, then all that is meant to flow into our lives comes to us with ease and grace. “Ease” doesn’t mean we don’t WORK for it—heck no! Frankly, during these Amazon book launches, I have to block out 3 solid days because there is simply so much to do and so much promo copy to write that I’m pretty much “on call” 24 hours of the day during that time (I didn’t go to bed last night until 5am, and then I got up again at 9am). When I say “ease” I mean that the ideas are flowing, the energy is flowing and you just plain feel fantastic (even if you ARE in serious need of sleeping for about 12 hours straight after the launch is all over!). Now, a lot of people might say that this sounds like the “Law of Attraction.” But the funny thing is, I never have used that term to describe my approach to life. In fact, I’ve pretty much shunned the term because I found the film version of The Secret to present things in a way I couldn’t really relate to. It all looked too simple—desire, believe, receive. I remember the scene in the film where the girl looks in the shop window at a very expensive necklace and it’s suddenly around her neck—well, I must confess it put me off the whole film because it seemed shallow to me (I do admit I have never read the book; I am told it is much better). Well, what is so funny (or at least I think it is) is that yesterday I came face-to-face with The Secret, and I’m feeling like it’s a real test of my own power of intention! Within a few short hours of the release of Memory in the Cells, it SHOT up like rocket to the #1 place in Canada in three categories including Mental and Spiritual Healing and New Age (which is a massive category, and VERY hard to get to #1). Luis’s book even surpassed authors like Louise Hay and Eckhart Tolle and so many others you would recognise. Moreover, it achieved an astonished rank of 14th of ALL books in Canada. That means, out of something like 2 million titles, his is the 14th bestseller of ALL of them in any category. It’s remarkable to say the least, and I am really feeling pretty pleased with myself today, especially as (as of this writing), the book is STILL holding strong to the #1 place. But here’s where The Secret comes in. So then I thought I’d take a look to see what’s sitting in front of him at #2. Yup. Rhonda Byrne’s The Secret! Ok, here’s my answer: Totally on both counts. For Luis, I believe reaching that pinnacle in his genre would give a real push to his speaking platform in the United States, and worldwide. And for me, well, I just keep aiming to get higher and higher on each campaign I create because every time I push the boundary that much more, it brings in more energy and potential for my future clients and makes my business stronger. It’s also creating more abundance not only in my life, but also in the lives of others, because the more my business grows, the more people I hire to work on campaigns with me! So right now, I actually have come to a completely different relationship with The Secret and the idea of “Law of Attraction”. I am viewing both as a wonderful opportunity for me to create a solution to my desire for Luis to move into the #1 slot on Amazon US today. And so I wrote this article. And seeing “obstacles” as not being obstacles at all, but rather as opportunities for creating new solutions to what we most desire in life is, I suspect, what “The Secret” really is, after all. You can find Luis’ wonderful #1-selling book Memory in the Cells at http://memoryinthecells.com. And just to “attract” you to check it out, if you buy the book TODAY, you can receive over 30 free downloadable gifts from an array of international experts in many fields of personal development. I’m also offering my mini eCourse “Making Friends with the Monsters Under Your Bed.” I’ve received well over 100 requests for the download in just the past day. Certainly attracting something! Lynn Serafinn is a transformation coach, book promotion coach, radio host and bestselling author of the book The Garden of the Soul: lessons from four flowers that unearth the Self. She also works as a campaign manager for mind-body-spirit authors and has produced FOUR #1-selling book campaigns, and another #2-selling campaign, in 2010 alone. She created Spirit Authors to offer training, coaching, business-building and inspiration for mind-body-spirit authors, whether established or aspiring. Contact Lynn about YOUR book project at at http://spiritauthors.com/contact. Sign up for Lynn’s bi-monthly newsletter Creative Spirit (fill in form below) packed with inspirational articles, broadcast guide to her radio show, and news about upcoming spiritual author book releases. Today I have the great pleasure of being the host on Day 6 of the Virtual Blog Tour for A New Dawn Awaits by author E.Dee Conrad. A New Dawn Awaits is a compassionate and inspiring channelled collection of short inspirational reflections, bringing together wisdom of the ages, showing us how to access knowledge that has been part of our consciousness, but has been dormant, for eons. E.Dee’s intention in writing this book is to help readers reach inwards into their divine essence and outwards to the energy that connects us as one humanity. Yesterday, E.Dee visited Shelagh Jones’ Wheel of Life blog at http://ht.ly/2C1hN. For today’s stop on the tour, as so many of my readers are authors in the mind-body-spirit genre, I thought it would be interesting to interview E.Dee on the topic of what it is like to channel a book, as I think it can be both a tantalising and daunting idea for writers. I asked E.Dee four questions on the topic. Lynn: Can you tell us a little about your emotional journey of being “called” to write a channelled book? E.Dee: I was 16 when I first realized I would write a book – but a “technical” one, not fiction, which somehow made it more possible in my mind. This realization lasted about 15 seconds and didn’t reappear for another 27 years! When it resurfaced, I was scared because it really pushed me out of my narrow comfort zone, but I was also excited because it felt like a project that would allow me to contribute to humanity on a scale I never thought possible. Lynn: What advice can you give to writers who are curious to explore channelling but don’t know how to get started? E.Dee: We all have the ability to channel and most of us do it on a regular basis – we just don’t realize it. It is easiest to “hear” what the universe or our higher selves are saying when our mind’s are clear and calm. The best way to calm your mind is to meditate. Personally, I prefer chanting meditations because they engage my brain and I find the sound vibrations to be very soothing and healing. Lynn: How has writing a book of this nature changed your life? I have become much more aware of my spiritual side and more focused on its development. Having read my book, I have tried to live by its suggestions, with a particular focus on becoming aware of my thoughts and thinking of others as I would like them think of me. This has shifted my life and brought more peace, harmony, joy and love into my life. Lynn: Now that you have “transcribed” A New Dawn Awaits, do you have any desires to write a book you haven’t channelled? No, I have absolutely no desire to write a book by traditional methods. When I channel a writing – be it a blog, article, or book – there is an amazing energy that flows through me. This energy is full of compassion and lightness and forms words. The reader also experiences this amazing energy because it is somehow embedded in and flows from the work. I hope you enjoyed this interview with E.Dee Conrad and that you’ll check out her book A New Dawn Awaits, which is coming to Amazon on Tuesday September 21, 2010. You can receive a collection of over 30 beautiful personal development gifts when you buy her book on the day of her launch, including one from me: a mini eCourse of my workshop “Making Friends with the Monsters Under Your Bed”. In addition, E.Dee is hosting a very special FREE telesummit entitled “The Shift. The Message. The Transformation” on September 14th, 15th and 16th with nine of today’s most vibrant authors and speakers on the topic of the consciousness, transformation and the global “shift” occurring on our planet today. If you’d like to attend, all you have to do is request a “launch reminder” about the book, and you’ll receive all the information to attend. If you cannot make the live event, you can download the audio at your convenience. As usual, please do feel free to share your comments and thoughts below. I love reading your feedback. Many of you have probably seen online promotional campaigns where people have partnered up to help launch a new book or product. Perhaps you’ve wondered why people would bother to get involved in another person’s book campaign, and what they could possibly gain from it. It’s easy to understand how a collaborative campaign benefits the author whose book is being launched. While being #1 on Amazon doesn’t necessarily mean you’ll be raking in the “big bucks”, the kudos of being a #1 seller is worth many times its weight in cyber-gold when seeking gigs as a public speaker or media guest. Furthermore, if you are a self-published author who later wishes to approach a publisher, being able to prove your ability to promote yourself successfully will be highly influential in their decision of whether or not to pick you up as one of their own. The answer to ALL these questions is the same – Absolutely NOT! Friendship/business relationships. In my opinion, this is the top reason why you want to join a campaign. When you work on a campaign of this kind, you are not just working with the author; you are also working with the other partners, increasing your network of excellent business associates. I cannot tell you how many creative alliances were made between partners I introduced to each other on my book campaigns. The alliances you form can have a big impact on your business growth in the long term. Remember-if you have enthusiastically and authentically helped someone else succeed, they will remember you and are likely to support you when you go to launch your own book… for no other reason than the fact that they like you. Visibility and Brand Recognition. The campaigns I design reach hundreds of thousands of people. Even if people do not opt into your list, every time someone goes to the book launch page, they see your face, brand name and product. Think about it: this is free promotion for you. Dozens of other partners on the campaign are helping to get your name out by driving people to the launch page. Even if your own book is only in its early stages, you can (and should) create a bonus that gives a “sneak peek” at who you are and what you are about. State the name of your book and the date it will be coming out (or a close estimate). Start building your brand recognition NOW. Association in the public eye. When you appear on someone else’s page, people associate you with that person. They assume you have something in common and that you have some sort of personal connection. If you are part of a campaign with people who have high profiles, it can raise your own profile in a very positive way. I had a new partner approach me a few months ago who said, “My list isn’t that big, but I’m a good networker and I just want to ‘play’ with you guys.” In other words, she wanted to be associated with the other partners on the campaign, which is great. I took her on as a partner right away, and she became one of the most reliable partners on my list. Be sure to select a campaign that creates the RIGHT association in the public eye. That way, when your book does come out, people will already associate you with similar books and be inclined to check you out. Learning the ropes. Being on someone else’s campaign is the BEST way to learn what works and what doesn’t work in a book launch… but you’ve got to study it and pay attention to detail. One of my networking partners recently told me that she had been studying how I ran my campaigns and was going to have her team implement my strategies in her own upcoming book launch. As a result of her highly-organised campaign, her book hit #1 in two Amazon categories in both the US and Canada. Being on the inside of campaign and receiving all the communication from the project manager is the very best way to learn how campaigns work. Empowerment and satisfaction. When we work together as a team and help a new author reach the #1 rank, there is a genuine feeling of empowerment and satisfaction of having achieved something together. It isn’t about “sales”; it’s about working together to reach people’s hearts. By telling others about this wonderful book, you have spread good will and added value in the world. And knowing you have the ability to inspire others to buy a great book will boost your self-confidence when you get ready to release your own book (or teleseminar, course, workshop, etc.) in the future. Practicing the Law of Abundance. The old era of marketing was based upon fear, scarcity and competition. Now, we are entering a new era of spiritual marketing is founded upon mutual support, collaboration and a belief in abundance. This new era can only evolve if we come to trust that the Universe has enough for all of us, and that the more we allow energy to flow by giving to others, the more will come to us in return. While our wish to receive should not be our motivation for giving, our faith that we will be taken care of should be at the very foundation of our trust. If you wish to flourish, become a partner on a campaign. It will help you shift from scarcity mentality to a feeling of expansion and abundance. I hope this article has helped you see the many advantages of partnering on a campaign. Remember: it’s not just about selling books and list building. There is much more to it than that. Every campaign I do gives me a rush! And if this article has enticed you to expand your networking, and you would like to become a partner on an upcoming book launch, here’s your chance, I am currently seeking partners for several upcoming book launches. Lynn Serafinn is a transformation coach, book promotion coach, radio host and bestselling author of the book The Garden of the Soul: lessons from four flowers that unearth the Self. She also works as a campaign manager for mind-body-spirit authors and has produced several top-10 book campaigns, including FOUR #1-sellers, in 2010 alone. She created Spirit Authors to offer training, coaching, business-building and inspiration for mind-body-spirit authors, whether established or aspiring. Contact Lynn about YOUR book project at at http://spiritauthors.com/contact. If you follow my weekly radio show on Blog Talk Radio, you know I open every episode by saying it explores “personal empowerment, life purpose, balance of mind, body and spirit, and how to tap into the inner hero that lies within every human being.” While I believe all of my guests are “heroes” in their own right, never have I been more filled with emotion to introduce the hero of the show I hosted this past Wednesday, April 28. Why? Because the guest was my own daughter, Vrinda Pendred, author and founding Director/Editor of Conditional Publications, a new independent publisher dedicated solely to publishing the works of authors with neurological conditions. Their first book ‘Check Mates’ comes out on May 11, 2010, and it is nothing short of groundbreaking. What makes Check Mates so special is that it is a collection of short fiction and poetry either about or inspired by the struggle with Obsessive-Compulsive Disorder, all written by people with OCD. Whether solidly real, allegorical, or completely fictionalised, all the compelling work contained in this collection portrays the true story of this greatly misunderstood condition. It is also the first ever book of fiction written entirely by OCD authors—including Vrinda herself. This interview is stop number 6 on Vrinda’s 14-day Virtual Blog Tour to promote the launch of Check Mates. Yesterday Vrinda stopped by the blog of Yvonne Perry from Writers in the Sky. If you happened to miss that stop, just click here. In our interview together on April 28, Vrinda started out by describing the struggles she faced as a child growing up with neurological disorders. She was first diagnosed with Tourette Syndrome at age 7, but doctors did little to educate her, her parents or her teachers about the disorder. She describes the frustration of not being able to explain what compelled her to think and do the things she did, and how this impacted her childhood experiences and emotions. For years, she pretty much kept the reality of having Tourette’s hidden from her friends, but she finally had a breakthrough when the topic of Tourette’s came up in a discussion in a science class at school when she was 13 years old. She described how learning more about her condition was a “stunning” revelation, and how it released her from the feeling she needed to hide her condition from the world. Vrinda explained that OCD, Tourette’s, autism, bipolar disorder and other neurological conditions are genetic in nature, but the way they manifest in a person are “completely founded in your own emotional experiences in life.” Vrinda and I discussed how her diagnosis opened up my own understanding about my own frustrations as a child because my father (Vrinda’s grandfather) had OCD, although it was never diagnosed when he was alive. Vrinda gave some pretty humorous examples of her grandfather’s OCD behaviour in a way that only a fellow OCD person could recognise. Vrinda discussed how Cognitive Behavioural Therapy has successfully helped her with many of her obsessions, by enabled her to learn how to allow her anxieties to pass without acting upon them. She said, however, that “intrusive thoughts” were frequently much more difficult to overcome and she is still challenged by many of them. Vrinda discussed how important it was for parents to “educate” teachers about how OCD impacts the child’s behaviour and performance at school. She gave an example of how helpful it was when one compassionate teacher allowed her to take an exam in his private office so she would not be challenged by her OCD by being in a distracting environment. Vrinda went on to talk about her book Check Mates. She explained that the title “Check Mates” refers to the tendency for people with OCD to “check” things, and also because it is a collection of stories by people who have now become good friends (“mates”). The 20 authors of this book all met each other on a social network called “OCD Tribe” (http://ocdtribe.com). Vrinda said it was “indescribable” and “life-changing” to find a “tribe” of people who all shared the same condition. She explained that what makes Check Mates unique amongst other books is that it is not a “self-help” book, but rather a book of fiction by OCD authors. She said she felt fiction was “more powerful” than an autobiography in this case, as readers who do not have OCD would be able to see something of themselves within the stories as well. If you or a family member has OCD, or any neurological condition, you definitely will want to check out Check Mates when it comes out on Tuesday May 11. When you are there, be sure to sign up for a “launch reminder” so you can receive over 30 free personal development gifts when you buy the book on the day of its launch. Amongst the gifts are a free short story on Tourette Syndrome from Vrinda, and a free mini-course from me called “Making Friends with the Monsters Under Your Bed.” Just click HERE to read more about the book and the 30 free gifts (if you are reading this article after that date, you may buy the book directly from that page). I should also mention that a portion of the proceeds from the sale of every single book goes to OCD charities, so when you buy it, YOU are also making a difference. Be sure to follow Vrinda to her next Virtual Blog Tour stop on Sunday May 2nd, hosted by Geoff Laughton at http://geofflaughton.com/gltc/blog/. Recently I’ve been telling you about a new book called Awakened Wisdom: A Guide to Reclaiming Your Brilliance by my friend and colleague Patrick Ryan. Well the book had its official Amazon launch yesterday, and I simply had to write to you to tell you that within the first few hours, Awakened Wisdom became a bestseller in spirituality in both the US and Canada. Most impressively, the book reached an amazing rank of 29th in overall books, out of many millions, and took the Number-1 slot in Canadian spirituality sales (click to see a screen shot), and the #3 slot in self-help, sharing the very same page on Amazon with top-selling spirituality titles such as Don Miguel Ruiz’s Four Agreements, Eckhart Tolle’s A New Earth and Elizabeth Gilbert’s Eat Pray Love. At one point, Patrick and Eckhart were dancing back and forth in the top 5 spots on the Canadian list, which is interesting because so many people have compared these two writers even before the book was released. In the US, where the competition is even steeper, the book reached the Number-2 rank in Kindle spiritual self-help titles, and the paperback was the 18th most popular spiritual title yesterday. I have high hopes that today, that figure will soar up later today, as news of the success of the book starts to spread. Not too shabby for a first day, don’t you think? Born in the Canadian prairies, and surviving a near-death experience in his youth, Patrick Ryan has been a life-long spiritual seeker. He spent some time as a Buddhist monk in Burma, and has studied the world over with healers, shamans and other indigenous wise people. The culmination of his multifaceted experiences, from the home-spun to the esoteric, is to be found within his unique, and inimitably down-to-earth, system of spiritual development he calls “Awakened Wisdom”, which he has taught in workshops throughout the world for several years. The essence of those teachings, along with practical exercises for cultivating them in your life, may now be found within the pages of his newly bestselling book. I should also mention that I consider Patrick to be one of my personal mentors. I studied with him for nearly a year on the Co-Active Leadership programme, and I also took his internationally acclaimed Awakened Wisdom course. I can say without any reservation that my life would not be where it is today had our paths not crossed. I was my great delight and pleasure to be able to give something back to him by acting as his campaign manager for this thrilling Amazon book launch. The Awakened Wisdom launch continues today and tomorrow, and in celebration of its official release, Patrick Ryan and a group of his colleauges, including authors, coaches, entrepreneurs and spiritual teachers are giving away over 40 exceptional personal development and spiritual growth gifts when you purchase a copy the book during the launch. One of these gifts is an unprecedented 2-session “Awakened Wisdom Virtual Experience”, in which author Patrick Ryan will take participants on a journey through the “8 States of an Awakened Life” via webcast in May. This is a rare opportunity to learn directly from a world-renowned spiritual teacher—and now top-selling spirituality author. I myself am offering four never-before-offered audio meditations from my Garden of the Soul Workshop, on the Four Principles of Give, Receive, Become and Be. Make sure you do this as soon as possible, as the launch ends this Friday, April 23 (extended from April 22). And if you are reading this AFTER that date, you can still find out how to buy the book by clicking the link above. Thanks for your support in helping this rising new star in the spiritul author universe shine so brightly! I wish ALL of you Spirit Authors reading this a future where YOU are shining even more brightly. Well, knowing that about you, I am writing to you to suggest you mark your diary for THIS TUESDAY APRIL 20TH. That’s the BIG day for the launch of Patrick Ryan’s book Awakened Wisdom: A Guide to Reclaiming Your Brilliance. The big deal is that everyone who buys this important book on the DAY of the launch (this Tuesday, April 20th) can sign up to attend a 2-session “Awakened Wisdom Virtual Experience” with Patrick himself, where he PERSONALLY will guide you through the “8 States of an Awakened Life”, which are the cornerstone of all his world-famous work. Oooh… I should mention that I will be hosting that event! How lucky am I, huh? The Awakened Wisdom Virtual Experience will be on May 5-6, via webcast. That means you can attend EITHER via the web or via telephone. There’ll also be some opportunity to ask Patrick your questions about his teachings. If you can’t make the live event, don’t worry. The audio will be available for download BUT only to those who register for the VIP pass. In addition to the Virtual Experience, there are over 30 of us who are giving away some FABULOUS free spiritual gifts to you when you buy Patrick’s book. I’m giving away 4 audio meditations from my Garden of the Soul Workshop. I have NEVER offered these before (in fact, I just finished recording them tonight!). I URGE you to go over to Awakened Wisdom Book Launch Page tonight and sign up for a “launch reminder”. That way, on Tuesday morning, when the gifts are ready, we’ll send you a “go and get them” reminder, so you can buy the book and get all the cool gifts, including the VIP Pass to the Awakened Wisdom Virtual Experience. Patrick is one of my personal mentors AND he is also my client, as I am the campaign manager for his book launch. Let me tell you, I am DETERMINED to get his book to the number-1 spirituality slot on Amazon on Tuesday. Why? Because I think he totally deserves it! First of all, his work is surely world-class, and I want to see his message spread all over the planet. Secondly, I studied with Patrick for over a year, and now that I’ve also had the great pleasure to work with him at a professional level as well, I can assure you he’s not only an amazingly spiritual teacher, but also a truly down-to-earth human being. Thanks everyone! Hope to “see” you at the Awakened Wisdom Virtual Experience on May 5 – 6. P.S. : On a slightly different note, if you haven’t had a chance yet to vote for me in the Next Top Spiritual Author Contest, it would mean SO much to me if you would. The voting for Round 1 goes only for another 2 weeks. Right now I’m in the top 5%, but anything can happen with the public vote. Please remember that you can vote for as many authors as you like in the competition, but you can only vote ONCE for an author per round. It would be great if you checked out my video and cast you vote. There’s also a free gift there for you: 4 audio excerpts from my book, The Garden of the Soul (not the same audio as I am offering with Patrick’s book). Hope you enjoy them! The link to my profile page in the contest is http://www.NextTopAuthor.com/?aid=2016, Thanks so much! Many people hire me to create and manage their Amazon book campaigns, or to support them as a book promotion coach/consultant. In either case, I have noticed many of my clients experience a steep learning curve at the beginning of their campaigns, as they try to get their heads around all the components and how they work together. For that reason, I thought it might be a good idea to write a short article giving an overview of the initial steps I use when I put together an Amazon campaign, so you can become an Amazon bestseller like my clients. The basic concept of an Amazon book campaign is to drive people to a special page you will create that tells them about your book, and to get them to return to that page to buy your book on the specified day of your launch. The reason why you want them to come on a specified day is to drive up your Amazon sales rank. The reason why people will want to return to your page (as opposed to just going to Amazon to buy your book) is that after they buy your book, they can come back to your page to claim some great bonus gifts. Who is offering the gifts? A group of “JVPs”, or “Joint Venture Partners” you have brought together. Finding and choosing JVPs is a topic I cover in the first week of Module 4 at Spirit Authors. For now, let’s assume you already have a good selection of JVPs who have confirmed their participation in your launch, and let’s move on to our 5 steps to get your campaign going. There are different strategies, technical aspects and creative elements to each of these components, which would take too long to discuss here. For now, let’s say that you decided you were going to utilise all of them in some way. Assuming you have already determined the level of commitment promised from your JVPs, your next step would be to gather relevant materials from them, such as headshot, bio, and bonus material information, including a link to the opt in page where people will sign up to receive their gift. A word of advice: It is highly likely you will need to guide many of your JVPs as to what is an appropriate bonus gift. A good bonus gift should be a downloadable entry-level gift. A not-so-good gift is one that requires the customer to buy something else to receive it, or requires them to travel to specific geographic location. The bonus should also not be an offer of free or discounted coaching or consultation, because if they have a high number of requests, they might find it impossible to honour them all. You, as the manager of your campaign, need to guide your JVPs to choosing the right kind of gift. As you collect this information from your JVPs, make sure you use some sort of tracking system to cross check you have received all the info. I use an Excel spreadsheet for tracking. Next, you will need to assemble all your JVP information, along with key info about you and your book, onto a webpage we are going to call your “pre-launch page.” On this page, people will find out about you, your book, the date of the launch, and the bonus gift offerings. Make sure you standardise the format in which you will publish the JVP content on the web, so everyone’s entry looks similar. I usually make two contrasting pieces of ezine copy for my JVPs per month, to give them diversity and choice (they are likely to send only one per month). I usually make 50-100 Tweets for my JVPs—and I try to make them 120 characters or less. It’s really not as complex as it might sound, and it can make your campaign vibrant, fun and very effective. A “Virtual Interview” is when your blog tour hosts send you a few questions in advance before the date of their “stop” on your tour. I cover the details of how to create all these types of copy on Module 4 at Spirit Authors. In fact, I dedicate an entire week to EACH of these types of copy. The last step to getting your campaign off the ground is to create a set of clear, written instructions for your JVPs. I always include a timeline, a description of the components, and a break down of how everything will run. I write it in such a way that it is visually easy to read, and convert it into a PDF document. I give them tips on how to use the materials, and how to increase traffic to their bonus. As I am currently the project leader for the upcoming Amazon campaign for Patrick Ryan’s book Awakened Wisdom: A Guide to Reclaiming Your Brilliance, the easiest thing you can do to understand the things I have been describing would be to look at the page we have put together for that launch at http://www.awakenedwisdom.com/Public/Amazon/booklaunch/index.cfm. As of this writing, we are still finalising some details on it (and there are a few more JVPs coming along). Of course, I also hope you’ll check out Patrick’s book and sign up for a launch reminder while you’re on that page (I made the video, by the way. Do you like it?). And if you are on Twitter, follow me at http://twitter.com/LynnSerafinn and you can see some of the Tweets I’m sending out about the book. Hopefully they will give you ideas of how to make your own. Most everything I have learned about online promotion is the result of watching others who know what they are doing, so now it’s my pleasure to invite you to do the same (hopefully I know what I’m doing!). This article has been a very brief overview of the 5 steps needed to put together your Amazon book campaign. If you’d like to know more about creating, running and benefiting from an Amazon book campaign for your upcoming book, have a look at my 8-week course on the Spirit Authors website: Module 4: Your Book Launch – Designing and Delivering. For a limited time, you can take a 14-day test drive for only $1, and receive some special bonus gifts that are yours to keep just for trying it out. If you feel you need a more personal touch, fill in a contact form on the Spirit Authors site to request a 1-to-1 consultation. Please be aware that I only take on a limited amount of book launch clients throughout the year, and that we will require 4-6 months to work on your launch, depending upon the strength of your online platform. I hope you found this whistle-stop tour useful. Drop me a comment below to let me know what you think. Ok, now you are probably going to think I’ve lost the plot. Twitter changed my life. Let me tell you how. AND I am going to attempt to tell this story in lines of 140 characters or less. It all started when I launched my book “The Garden of the Soul” in April 2009. After a year of mastering this “thing” called social networking, I created an Amazon book campaign. I found many JVPs (joint venture partners), mainly from Twitter. Also ran a Virtual Blog Tour with peeps like @MoonPoppy @DuncanBrodie and many others. Also ran a Twitter contest. @JulieAnnTurner won a signed copy of my book. Long story short, my self-published book became an Amazon bestseller in #spirituality #mind-body-spirit and #self-help. I think it was June when @SouthsideBroadc contacted me to be on their radio show. I soon became a regular guest. Thru @SouthsideBroadc I met @SpiritusShelagh who has since become one of my closest friends. Aug 2009: @BookEditorLM asked @tonyeldridge if he would repost that article. He asked me to write a new one. Same month @AllisonMaslan (whom I didn’t know) read that article. Sent me DM asking me to coach her 4 Amazon launch. I put together Amazon campaign for @AllisonMaslan ‘s new #book #BlastOff! Nov 2009: I asked @writersinthesky (whom I had met on Ning) to come and help us put the campaign together. We put together another great team of JVPs. If I named all the Tweeple who helped us on #BlastOff! I think I’d need another day to write this. Started Twitter/FB campaign to drive people to fan page. By Christmas day there were 100 fans. As an author, I am now represented by @wgtwelve. More and more #mind-body-spirit #authors come to me to create campaigns for them. New Amazon campaigns: @AwakenedWisdom (April 20), @NeuroBooks (May 11) and @wgtwelve (Nov). VIPS: @wordywoman @BookMarketer @CaronGoode @DayaDeviDoolin @inspiredwriter @docmarion @AlanSeale plus many already mentioned. My good friend @SpiritusShelagh was my co-host for the event. What a source of strength she is. Oz Tweep @charlyjl was a wellspring of technical support in getting the site ready. Couldn’t have done it without her. Ok… enough with the Twitterspeak!!! I am quite serious when I say Twitter has changed my life. Yes, my own book would never have become a bestseller without Twitter. Yes, I could never have helped Allison become a number-1 seller. Yes, I would not have gotten some fab new clients and an amazing literary agent. And yes, I would never have thought to create Spirit Authors and now have a blossoming new business as a result. But it isn’t REALLY about business at all. Have a look at all the Twitter links above. These are not just links. These are all REAL people whom I have come to know, respect and care about over the past year. Even though some of us are separated by tens of thousands of miles, we have all shared many a heart-felt conversation over the phone, and have been there for each other through the highs and lows. And really, there are just so many other wonderful people I have met from Twitter (as well as Facebook, Ning and LinkedIn, in that order), I cannot count them. When many people first come to Twitter, they don’t “get it”. How can you possibly communicate in 140 characters? How can you possibly make friends with people? How can you possibly build a business from it? WHY would you WANT to do this???? And I’m telling you now—it’s because of the PEOPLE! I have made more close friends from networking on Twitter than any other form of networking I have ever tried… even more than “live” networks in my home town! While I do love Facebook as well, there is nothing (yet) that can beat Twitter for ideas going viral, and for meeting lots of people who share your interests within a very short period of time. But as I said, it’s not just about the business. The friends I have met through Twitter are some of the most inspiring, supportive, positive and powerful light-workers I have ever met. That is why I have linked to EVERY one of them above. So, if you are on Twitter, you should follow them. These are wonderful, beautiful people—get to KNOW them. As always, your comments below are MOST welcome! P. S.: This article was inspired by a Twitter conversation I had a new friend on Twitter @WendyMWarden. Many thanks, Wendy. This was fun to write! In Module 2, I teach the fundamental principles of spirit-based promotion so you can create a fertile promotional platform for selling your book online using social networking. In Module 4, I teach the “how to’s” of creating an Amazon Book Launch. And, of course, there are 3 other modules on starting and writing your book, preparing for publication, and creating a brand and sustainable business from your book. It’s my hope that by teaching authors (and authors-to-be) the techno-art of Twitter, they will not only find professional fulfilment, but they will also expand their world by connecting to others who understand them and wish to help them grow. If this sounds like something you would like to explore, I offer a 7-day “Test Drive” on any Spirit Authors learning module for only $1. Visit the site at http://spiritauthors.com and check out the introductory audios and module overviews to see if there is something at Spirit Authors that can help you achieve your writing goals. And if you have any questions, please just fill out a contact form on the site and I promise I will reply personally. Get more articles about authors, writing and book promotion. We've used GetResponse since 2007 to deliver our newsletters and to create auto-responders for hundreds of webinars, telesummits and other marketing campaigns. Wouldn't it be great to get more mileage out of your own great, original blog content? SPIN REWRITER can help you do just that. Don't know what Spin Rewriter is? CLICK HERE to read Lynn Serafinn's review of this innovative software.